Custom launch specifications allow you to configure multiple workload types on the same ocean cluster. 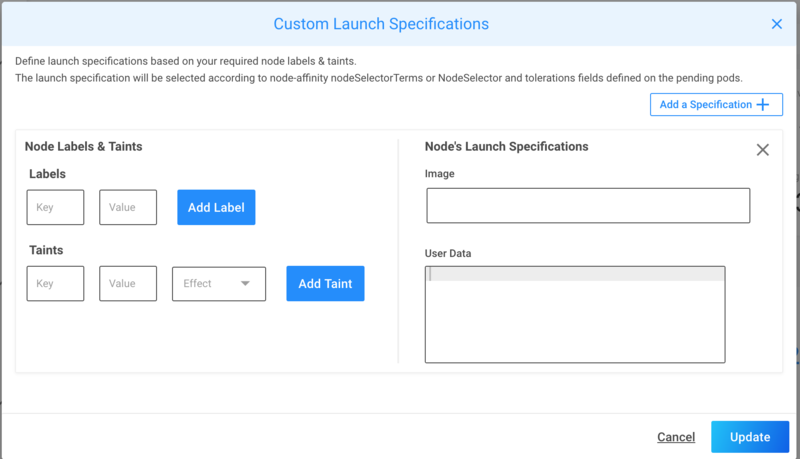 With custom launch specs you can configure sets of labels and taints to go along with a custom AMI and user data script that will be used for the nodes that will serve your labeled pods. 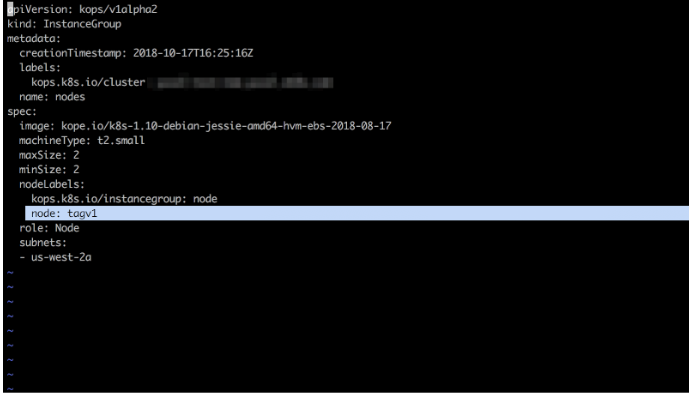 If a pod have no node-selector labels configured, the default AMI and user data configured on the Ocean cluster will be used. In the given scenario, the default Ocean AMI will include a Linux OS, for a specific Pod – ‘WinPod’ a Windows image is required. Labels are key/value pairs that are attached to objects, such as pods. Labels allow constraining a pod to only be able to run on particular nodes or have a preference for a particular node. See the Kubernetes documentation here for more. Ocean supports custom label selectors, as well as built-in node labels and affinity/anti-affinity for pods & nodes. Once configured, Ocean considers the constraints and launches capacity only when Pods that have the predefined labels are waiting to be scheduled. Make sure that your Pods are labeled properly. See the Kubernetes documentation. Here you can add key / value of custom label and click on “Add Label”. For all of the above, new nodes will be launched with new labels. If a pod requires a GPU instance, please add the relevant GPU AMI in the custom launch spec section. Ocean will spin up instances accordingly. Specific labels are not required in this case. You don’t need to add any extra label for GPU support, you can just use taints such that only your GPU based pods select a specific launch specification which contains the required GPU AMI.